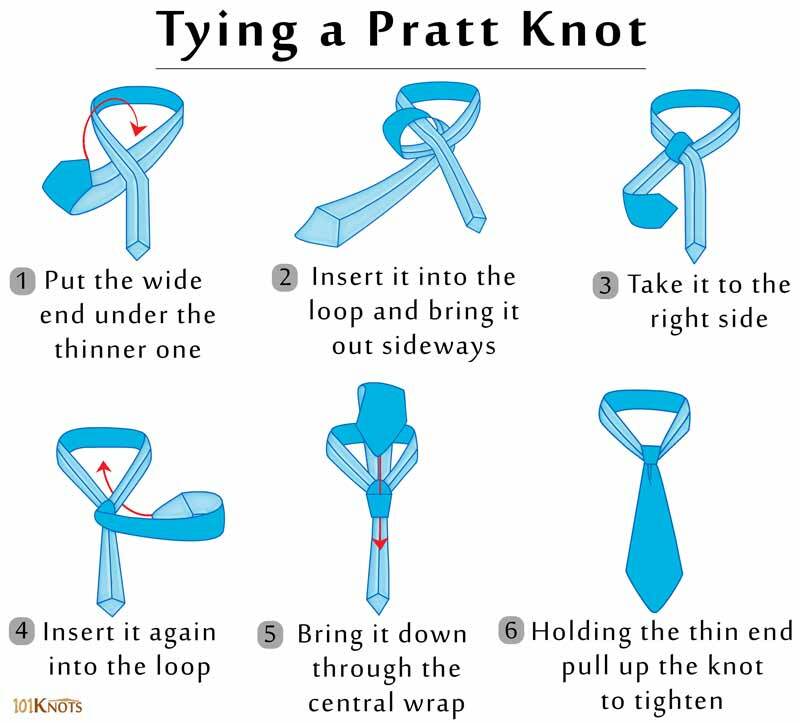 The neat, symmetrical Pratt knot when tied perfectly, looks attractive on any dress or formal shirt. Also known as the Shelby or Pratt-Shelby knot it suits slightly wider neckties that are made from light or medium weight fabric. 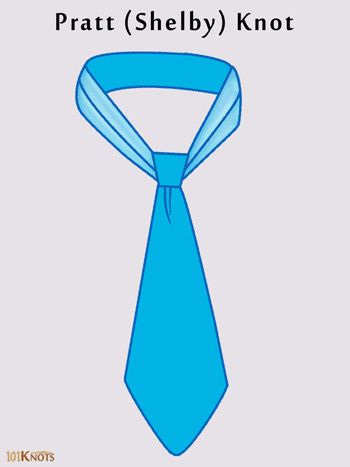 Though its elegant triangular shape resembles the half-Windsor knot, it is more discreet and smaller. Stand in front of the mirror, take the reverse side of the tie and wrap it round your neck under your shirt collar. Then, follow the instructions. The dimple formed at the center just below the knot gives a classy sartorial finish. Works best with cutaway and wide-spread collars. Suitable for professional gatherings including interviews. Can be worn at informal occasions as well.